"What you do AFTER the stand-down matters more than what you do DURING the stand-down." 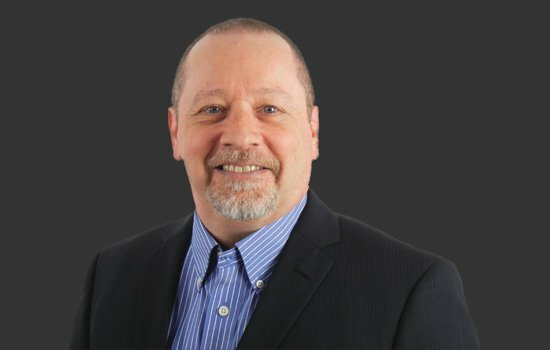 Having attended nearly a thousand safety meetings, and having stood on hundreds of stages myself, I can say with certainty that the inherent weakness of a safety event is believing that when your guest speaker is done talking and the stand-down has ended, that your people will know exactly what to do next. And you would be wrong. So wrong. You can judge it for yourself. Have a quick look at how many of your people are walking into your safety meetings with writing materials. Do they have some way to take notes? I’ll bet they don’t. Yet, you’ve taken days to organize a stand-down that will run upwards of a couple of hours and not one person is taking notes? What is the point of all the organizing if no one bothers to want to commit any of it to memory? How are they supposed to remember all of it, or even part of it? They won’t. Why it's now on your shoulders. As a front-line safety person or supervisor, you are the one who must remember it all. You are the one who must make sure that you stayed sharp during the stand-down because it’s going to be up to you to remind them, again and again and again of what they heard at the stand-down. The ideas they were exposed to. The strategies presented. If you’re not actively encouraging your people to participate in your safety meetings, you are, by default, allowing them to be spectators who will be spoon-fed by their supervisors and safety people. They don’t have to remember anything or write it down because no one is asking them to. They don’t have to participate because no one is asking them to. They can sit, listen, maybe retain one or two things and then go back to work. Can you see the problem with this model of safety meeting or stand-down? You have got to maximize the investment you make in your stand-down and get the most return on the money you spend by making sure your people are reminded of the key messages. After you ask your people to take notes because you are going to have group discussions on it later, you will also need to create a marketing and communications strategy that will last for some time after the stand-down is over. What is a safety marketing strategy and why do you need it? Educating your employees about the company's safety goals and motivating them to be enthusiastic about meeting those goals isn’t easy. With an internal marketing strategy, employees are treated as internal stakeholders who must be convinced of a company's safety vision. As much as you talk endlessly about safety, it's as though the message isn't sticking. Some days your safety performance is great. Other days, you wonder if they were listening at all. You need the right message, at the right time, to the right people so that every employee is working toward common goals in safety. Why you don't dare stop communicating. If you don’t follow-up the stand-down with a planned safety campaign that builds on what was discussed, then your people will go right back to doing what they’ve always done within a few days, maybe even hours. If you want to be constantly improving, you must be constantly communicating. When you stop communicating, you stop encouraging growth and improvement. Your people will take that as a sign that you are satisfied, and they will stop there. If you have no idea on how to get a consistent and working marketing strategy into your workplace, I’m happy to talk with you about that. But remember, you’ve got to follow-up your stand-down to get maximum value from your event. Drive home the key learning over and over again. And don’t stop reminding them. In marketing, this statement is a truth: when you yourself are sick of hearing it so many times, your people will be just starting to get it. That is a very important point. Learn more strategies to create a high-participation safety culture. Put Kevin Burns' expertise to work in your organization. Kevin Burns is the creator of the M4 Method™ and the 90-Day Safety Accelerator program. 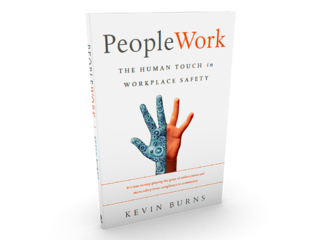 He is the author of PeopleWork: The Human Touch in Workplace Safety.